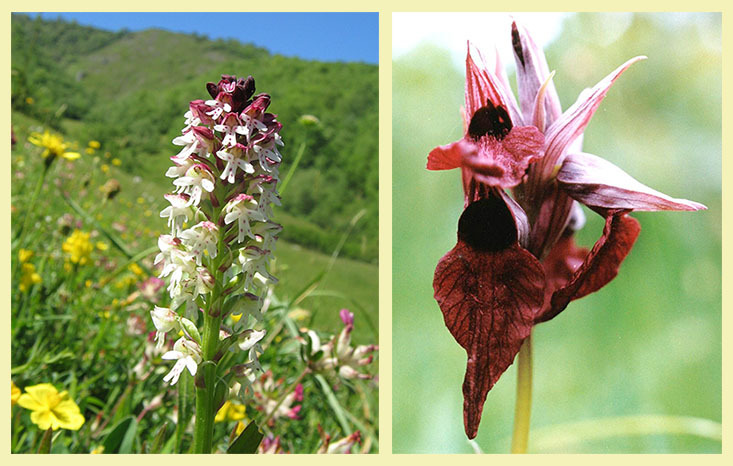 The Picos de Europa, Cordillera Cantábrica and valleys of Liébana are home to an amazingly rich and diverse range of plant species. 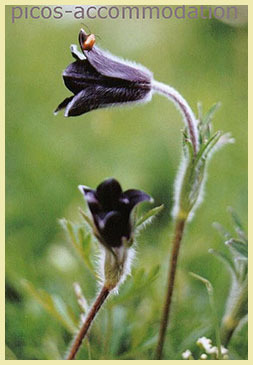 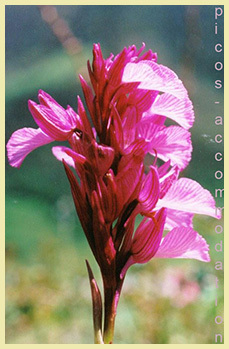 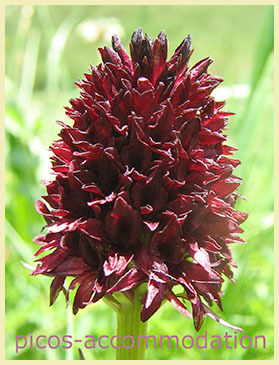 More than 45 species of orchid alone have been recorded in the Picos. 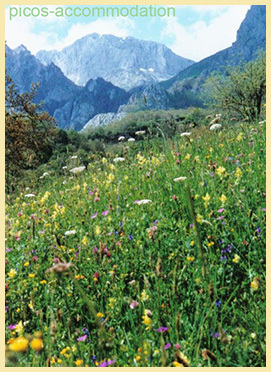 Between the lower meadows and high alpine pastures the opportunity for botanising is endless, partly due to the locals' use of traditional methods of land management - tractors and combine harvesters being useless on the small, sloping parcels of land. 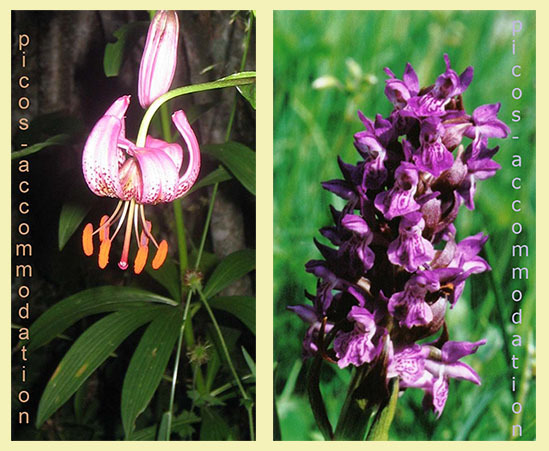 Spring in the valleys of Liébana sees the first signs of orchid life, especially profusions of Early purple and Pink butterfly. 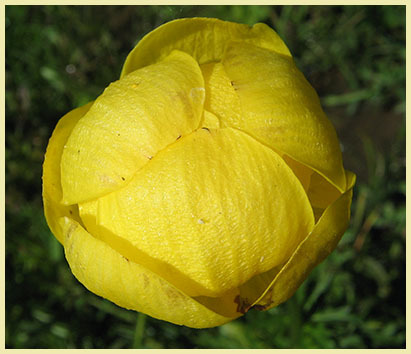 As the snows recede from the mountains three pretty little species of narcissus appear; Asturian daffodil (Narcissus asturiensis), Hoop-petticoat daffodil (Narcissus bulbocodium) and Angel's tears (Narcissus triandrus). 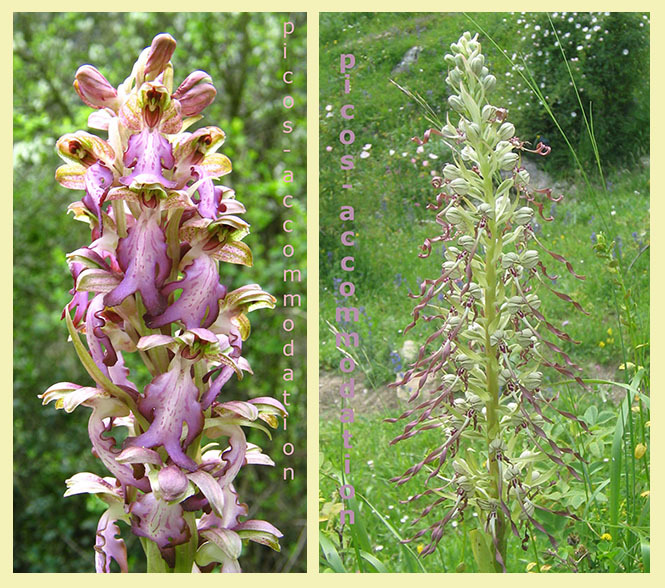 A little later Giant and Lizard orchids bloom, Himantoglossum robertianum and Himantoglossum hircinum. 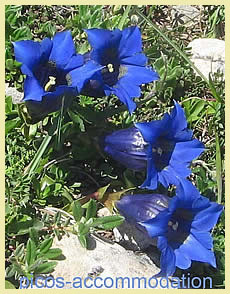 High pastures are the habitat of half a dozen species of gentians, including the Trumpet gentian (Gentiana acaulis). 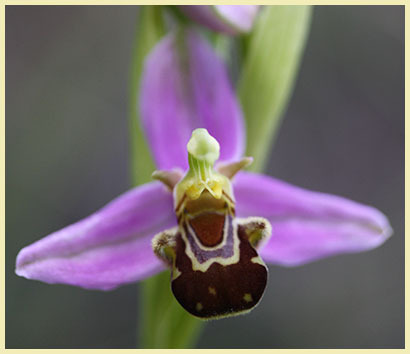 Following are some more orchids and other flowers that you may be lucky enough to see on your visit to the Picos de Europa.